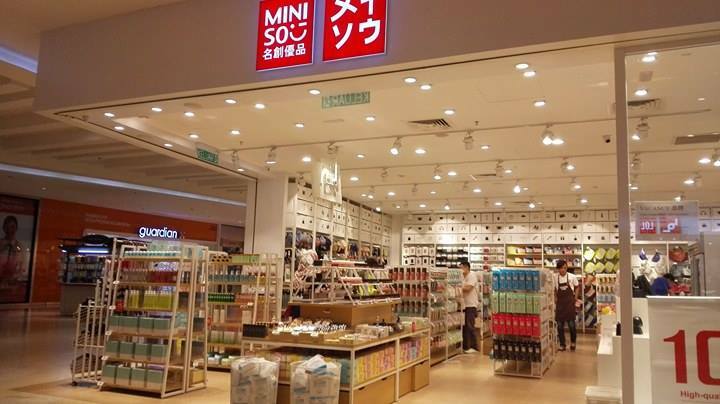 This new Brand concept store with a lookalike Uniqlo, Muji facelift yet prices around the Daiso range ; Miniso at last has came to Malaysia !! 3 Yrs back I spotted Miniso in China, 4 times I had been to Japan, been to 20 Perfectures in Japan but Never spotted Miniso at all ! Why?? 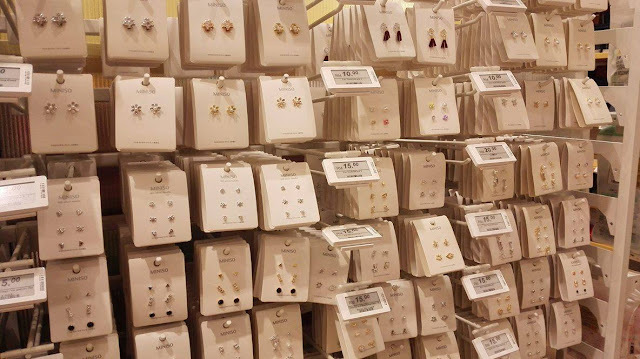 Because this brand might have a lookalike Japanese brand but it mainly established in China itself and I believe most of them are produced in China. 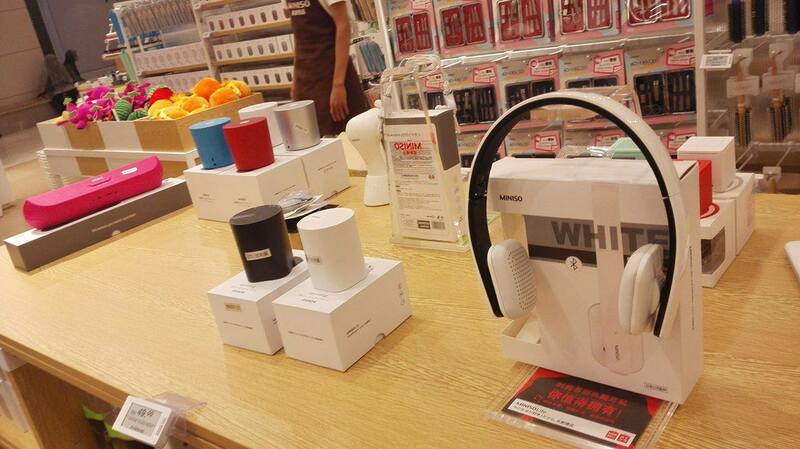 Whereas, Daiso might have some China manufactured items but Not all are Made in China. Ok here comes to the real deal? 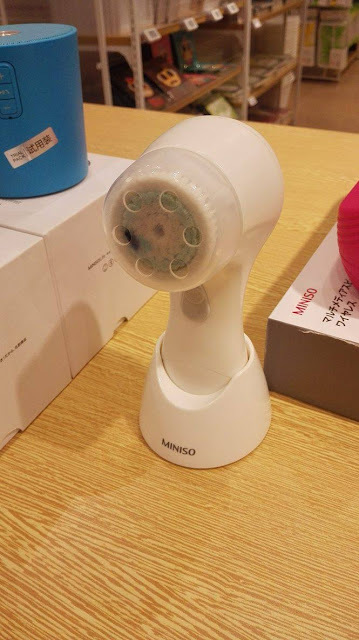 Is Miniso really worth the Price claiming to produce quality items at a lower price range? stepping into the Malaysian Miniso store this time surprised me as I find more NEW & Variety Products which are much more interesting than the YUBISO. So if you asked me, I'd say Yubiso has less variety yet they still have some authenthic korean / japanese items on store ( snacks). 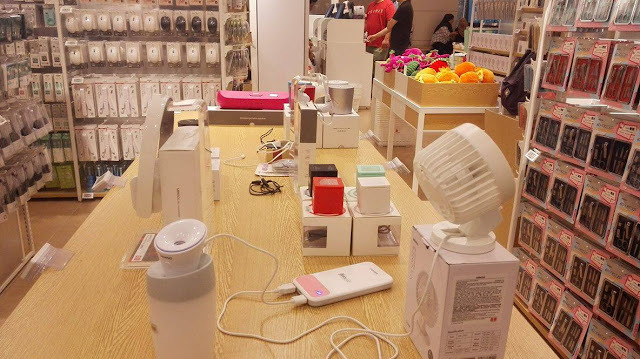 Miniso sells from Makeup to skincare, beauty electrical tools, undergarments, bags, wallets to household goods, hats, kids toys , snacks and even electronic items ! I tested out was their New Range of Makeup Products which is always at the front of the counter. 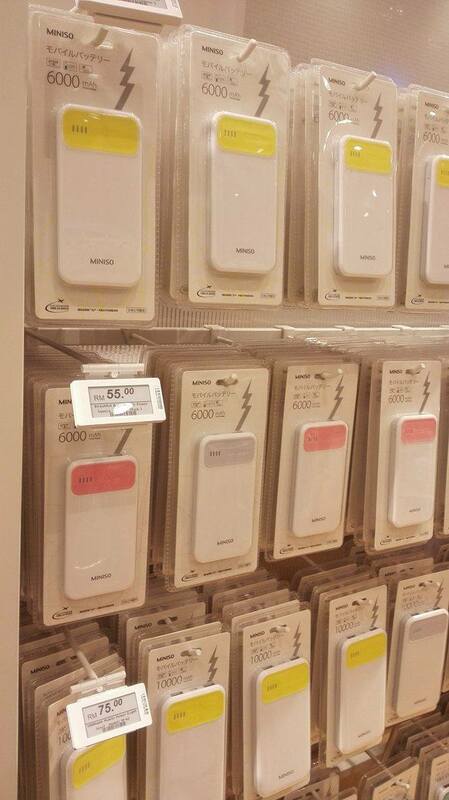 Honestly, the price of it in Malaysia compared to China, DOUBLED ! YET , It's still freaking cheap and these liquid eyeliners are so worth buying as they are quite waterproof and long lasting. There are also new ranges of eyeliners which costs RM15 and I think its about the same probably just more ink or thinner tip. 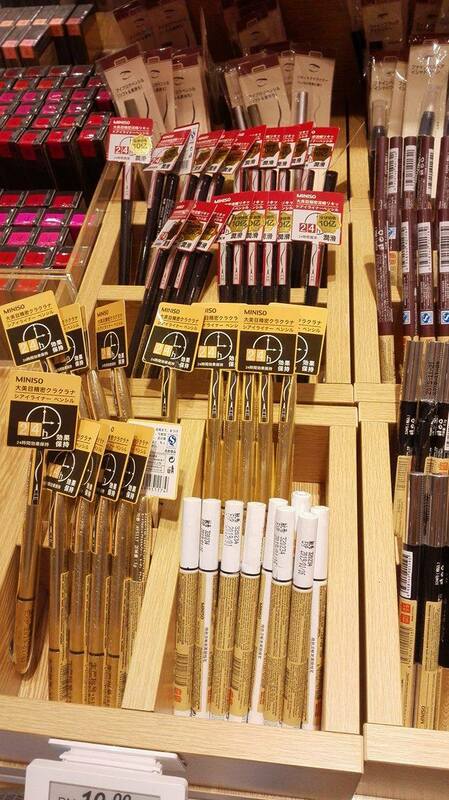 They also sell the Gel Eyeliner which i think its not bad but I think liquid eyeliner is much better. Blusher ! I love their cream blusher colours ! One thing NEW and COOL is that they also have the Cushion Compact which is the IN TREND NOW! However, the colour is just way too fair for my skin and I think it's not worth getting if it doesn't suit ur skin colour at all. Other than that they also have a range of new Beauty skin care range which looks much more classy than the Yubiso Gel as they package them in a glass bottle form and have the Herb and water moisture set range. It's about RM20 each and one of their toner caught my attention as it has real flowers in them. I totally bought it for Rm10, sold to their beauty of the flower in that toner. Whereas the rest, I can't really judge as i've tried the moisturising milk lotions were all too oily and not easily absorbed so I wasn't that convinced. Just go there and try and decide yourself instead as it might work differently on different skin. Face Masks: I spotted the same Face masks sold on Yubiso in Miniso as well ! 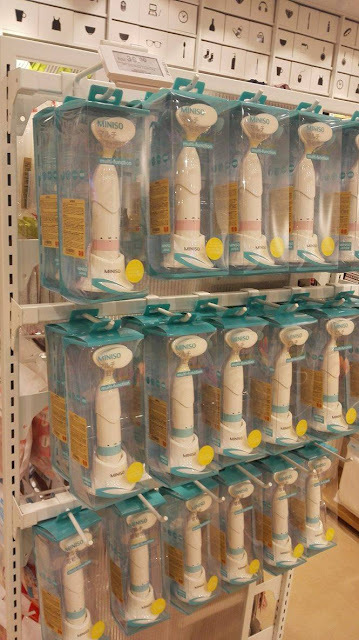 Well, I think Yubiso has better price as they offer 2 for RM5 whereas the Miniso ones are all sold in Box of 3, 2 or some not stationg how many. Urghh I hate these guessing game and time to take the box off the shelf, read their tiny lables and try to find for that tiny number where they state how many pieces in 1 Box. They both works on 2 AAA's battery and the design surely looks classy or a fake like Clarasonic. U can't control the speed or vibration level so Im not convinced. However, I wasn't that convinced as I hate using AAA baterries ! Like come on ! I can't use this on the airplane as a carry on ! Well, the brush felt soft but I checked on Taobao, there were brands similar to this kind and costs way much cheaper. Thus, I am still very doubtful on the quality and how long would it last and it's sure not worth if the AAA batteries decided to melt in this electronic equipment. And the humidifier is so CHIC !!! 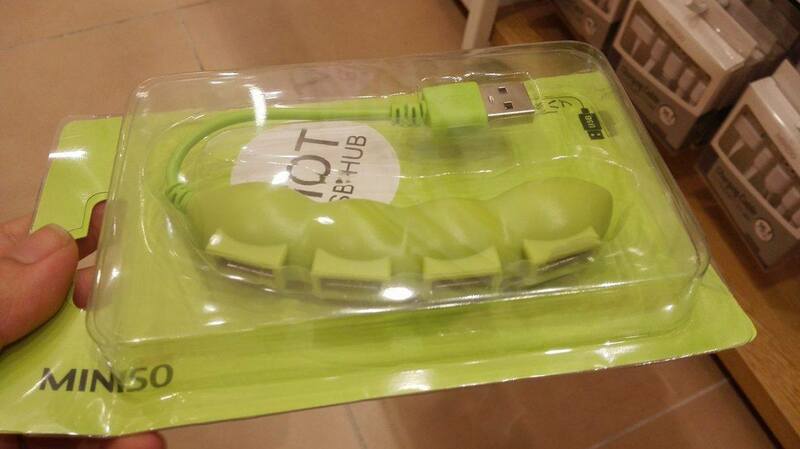 Another thing I like was this PEA USB hub ! It's a cute design as a gift ! Lasty, hair accesories , hats and even earrings !! I love their earing ranges ! Some are just so pretty ! 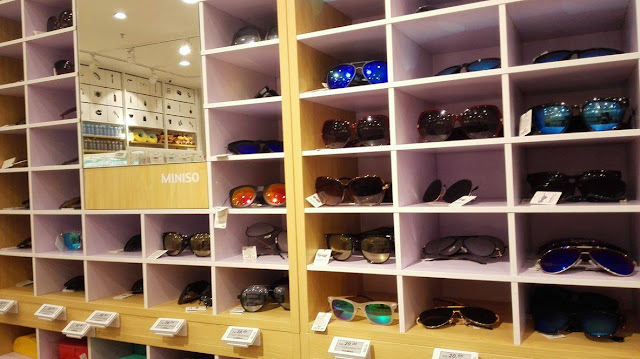 Pouch , Wallets and Handbags Miniso this time was kinda dissapointing as their materials have changed (when I was in China) it used to be more cloth/ washable material to fake PU leather material which I hate it being so fake and the hardness, smell of it. Yubiso as well, however as least they sell those canvas bagpacks. Bottom line , these products sometimes are just so cheap and questionable that, do they even do animal testing on their products? Do they have proper quality check or is it just that these are Home brands ( less bureaucracy in comparison to a huge organization) and Marketing is never a need for them so they cut their costs on that and sold it at a better cheaper price comparing to the other branded / known make-up brands out there ? 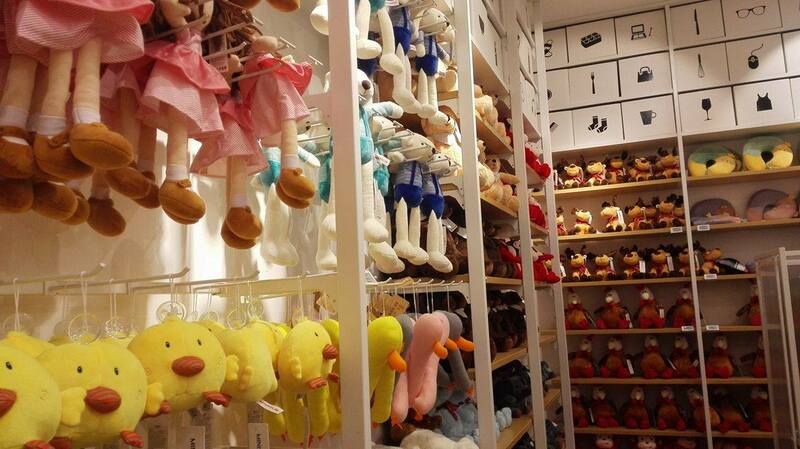 Just like How when Daiso first started up and became questionable. And there after some years we realized, that there are some really worth items in Daiso products which are quite good yet some totally a waste. Thus, I will always test the products before purchasing and go through lots of consideration before buying one which I really needed most. Ah, what a thought of the day. Just check out my BEAUTY tag to see more of it ! Go Be Beautiful babes !